The previous chapters provided us with detailed reviews on the molecular biology and pharmacology of major endocannabinoid and endovanilloid ligands (namely, anandamide and 2-arachidonoylglycerol) and their receptors (CB1, CB2 and TRPV1 receptors), which altogether can be termed as “canonical knowledge”. Still, experimental findings often display mismatches with this canonical knowledge: in the last decade, a rapidly increasing number of studies have reported “non-canonical”, “unusual” pharmacological profiles for certain cannabinoid ligands and receptors. Furthermore, from time to time results are explained by suggesting the involvement of a “new receptor”. 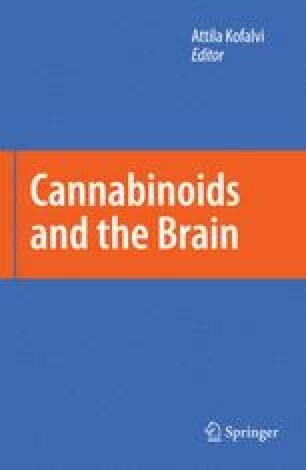 The present chapter attempts to give a helpful guideline about how to evaluate “non-canonical” results in the cannabinoid field. All the major topics of “non-canonical” cannabinoid pharmacology, namely interactions of endogenous and exogenous cannabinoid and vanilloid ligands with (1) CB1 receptor splice variants, (2) CB1 receptor heterodimers and other non-ionotropic receptors, (3) ligand- and voltagegated ion channels and finally, (4) neurotransmitter uptake systems are thoroughly reviewed. For sake of simplicity, studies reporting unknown cannabinoid receptors without sufficient investigation of other already defined targets are not discussed here. Finally, this review highlights that the “unorthodox sites of action” may be an unavoidable consequence of evolution, providing novel ideas and pharmaceutical targets to modulate signaling systems in neuropsychiatric disorders.